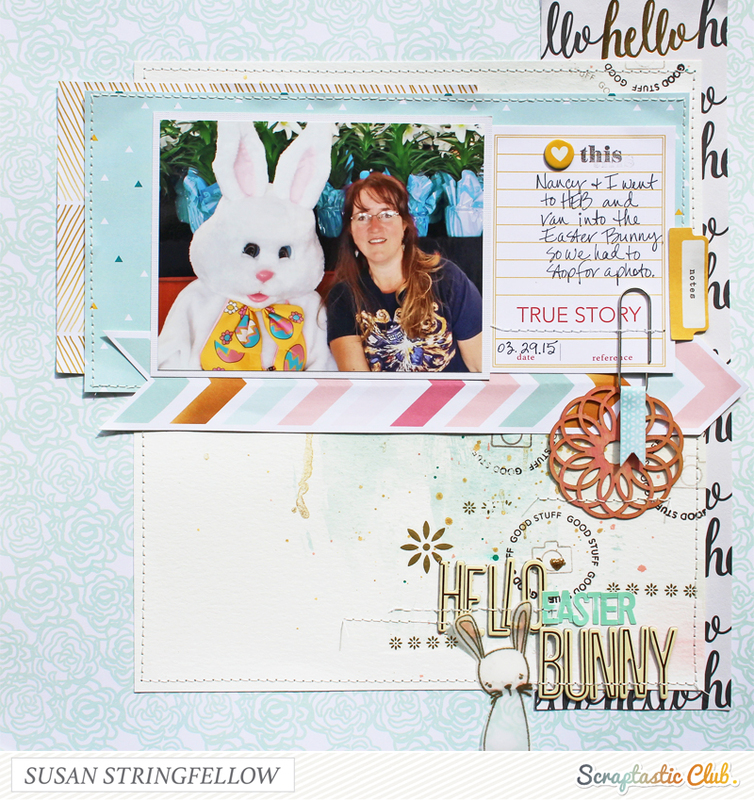 I used the pretty Scraptastic Club April kit "Darlene", along with the Add on Kit, I Lived Stamp Set, and the Sentiment Series V.6 Stamp Set with the cute bunny in it. 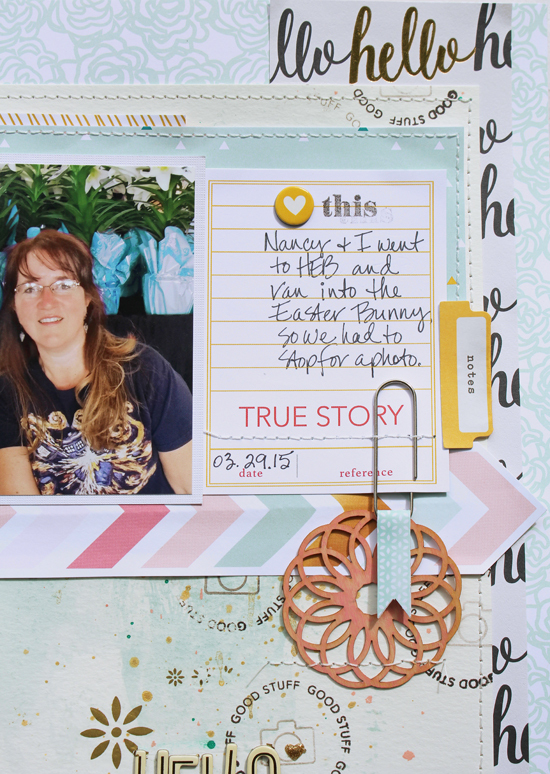 This kit has some soft colors as well as accents of gold and black that help to make the page just pop. It's a great contrast. I used a piece of watercolor paper from my stash for the background piece because I wanted to add some mint watercolor, drips of gold mist, and splatters of pink and teal without too much page warping. I stamped on the background with black ink and also added some gold rub on pieces. The wood veneers this month are just incredible but when you paint them and they get wet, they do curl so you have to place an acrylic block or something on them while they dry. Even then they curl a bit so I stitched mine down. 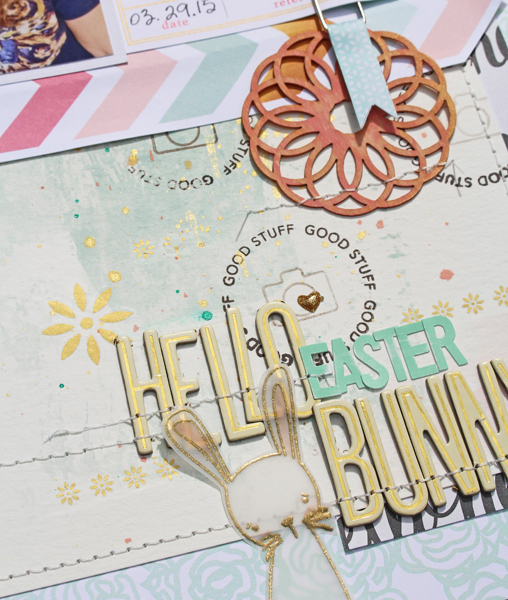 The bunny is stamped and embossed with gold tinsel embossing powder on vellum.